Removalist Chatswood provide our Relocations and Removal service in the following areas. Bondi furniture removal House removals in Bondi also have a wide range of services including Sydney city removalists, Removalists eastern suburbs, Removalist Maroubra and Removalist Dover heights. 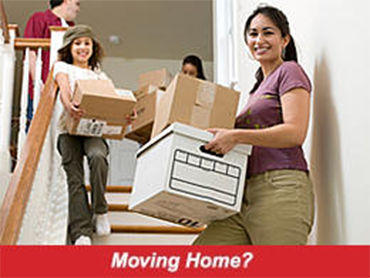 Acme removals quote very attractive and highly competitive rates. Over 20 years of experience as a top rated removalist company. Reliable transportation with our well maintained trucks. All our employees are trained and uniformed. We have a large list of satisfied clients who have used our service. Contact Acme Removals for a free quote on your Office or Residential relocation. We also offer advice and products on packing and storage facilities. For Removalist Maroubra, Removalist Chatswood, Syndey and Dover heights etc. Call us on 02 9314 5666 or 0419 409 785 – Bondi furniture removal can quickly offer free advice on how to best meet your Office, Residential or Storage needs. Acme Removals mainly operates office, residential and furniture removals for the following areas, Rose Bay, eastern suburbs Sydney or inner west. From office or house specialist movers to furniture removals experts in Rose Bay, Bondi, Dover Heights, Chatswood and Maroubra. Our professional team will pack up your entire home, taking special care of valuables and fragile and items. If you need us to, we’ll also unpack it once you have relocated. Artwork, Antiques and Electronics. Removalist Chatswood provide specially designed materials and crates that completely protect your antiques, electronics, artwork or any other special items, during the move or in storage. This service is available on request. Acme Removals can help with both local and interstate office relocation; our professional employees all have the skills and training to ensure that your property, contents and personal belongings are handled with the utmost care. House Bondi furniture removal are also fully commercially insured against damages and liability. Relocating your home contents and family is not an easy thing, so let our experienced and professional team help you! When you choose Acme Removals, you are choosing one of the most professional, efficient, highly recommended and competitively priced removalist company in NSW. Read more about our relocations services.